Two months into my ramen journey and I finally get a chance to try Daikokuya. I constantly hear nothing but great reviews about this place, so today I decided to finally witness it for myself. This is actually the first of two ramen-ya’s I visited today. You’ll see the next one a little later on. Okay, so back to Daikokuya. I decided to save some room in my stomach and order only the ramen. 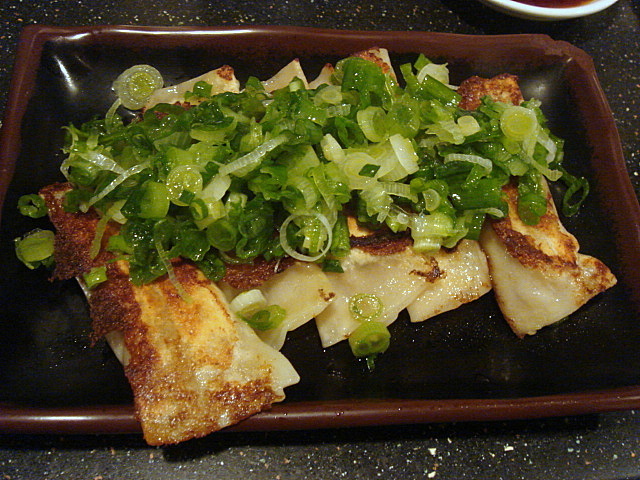 I’ll have to go back again for the gyoza someday. 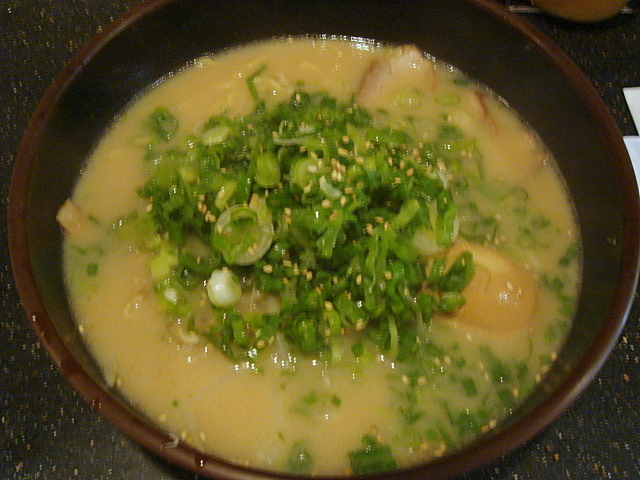 Daikoku-ramen: Wow! Amazing! Why did I wait so long to try this? Sorry edjusted, but I’d have to say that this was better than Shinsengumi. The soup was to die for! The noodles weren’t very spectacular, but thankfully they were masked by the delicious tonkotsu soup. And the chashu? Mmmmm! The kurobuta just melted on my tongue like an ice cube on asphalt. I think I might have to go back there sooner than I thought. Maybe even tomorrow! Gyoza: (Updated December 31, 2007) I finally got a chance to try the gyoza and…they were really good, but I think I might have been expecting too much. I guess that’s what happens when you listen to all the hype. They could have been a little juicier. Nonetheless, they are definitely top notch. Hahaha. Disqualifies me from eating another bowl of ramen again??? Hmm..after I ranked them I've eaten 55 bowls of ramen in 28 cities in Japan and much much more. Wait…I never claimed to qualify for eating a bowl in the first place. Is this the ramen olympics? Or the world ramen cup? Anyway, thanks for leaving a comment Mr. Anonymous! Man overrated. 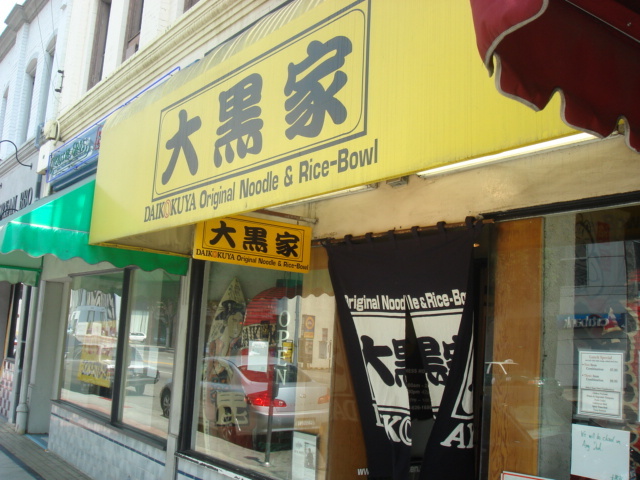 Went last night after joining this site and reading it was one of the top ramen places….Gyoza was mediocre at best. Mushy and lacked flavor. Sauce too strong. Ramen was decent and chasu excellent but wait for 30 minutes on a Tuesday to eat ramen….I don’t think so. I was not impressed. There is essentially one choice in Rauman and that was okay but… I must have been there after they had just added water to the broth. BTW, it has a “B” from the city and I can see why. The place is flat dirty. I can’t recommend this place. Hmm…maybe they had an off day when I went…or maybe *I* had an off day. Ok, I’ll give it another try the next time I’m up there!